Whether they work in film, TV or the music industry, producers are the people who oversee the work of an entire crew. While they may or may not have technical skills of their own, music producers certainly have people skills, promotional skills and a knack for identifying talent. On a typical workday, a music producer may search for new talent, fine-tune an album or attend a musical event. Music producers are often on the hunt for new singers, individual musicians or bands to record with and later promote. On a typical workday, a producer might attend a music festival or concert to hear prospective musicians. He may spend time listening to demos or albums sent in by wannabe musicians. Once he's identified someone he might be interested in working with, the next step is often to establish a contract. This might include developing an image for a musical group or creating a tour and recording schedule. Of course, the producer will need to secure funding for recording, touring and promotion. With a contract and funding in place, the next step is to begin recording music. Depending on the size of her staff, a music producer may be the person sitting at the sound board mixing sounds during a recording session. She also may be the person standing on the sidelines, directing the musicians and sound engineers to create a certain sound. 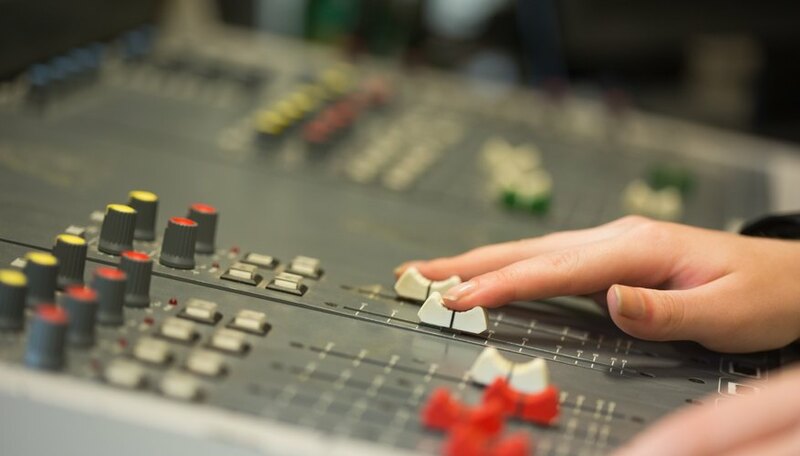 If things go wrong during a recording session, the producer might work with band members to come up with a solution, or she may otherwise coach the team. After the recording sessions, most albums go through a series of post-production steps. 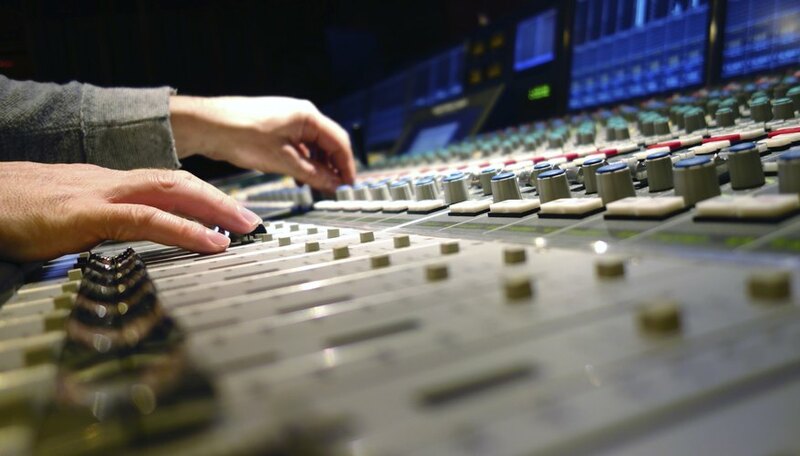 Whether he's the one operating the controls or is simply directing the action, the producer will work with the team to achieve the right sound. With the album recorded and finished, the producer will work with graphic designers and other professionals to come up with album art or musician photos that will go with the album. With the elements of the album in place, it's time to begin promoting it. A producer might set up a shoot to create a music video and work with other industry professionals to promote the album on the radio, TV or the Web. The producer may travel with a musical artist to concert tours to ensure that everything goes smoothly, and to come up with last-minute promotional appearances. She may also oversee social media and websites for the band, and monitor press coverage.